"The Poison Pen" will be brought to life! 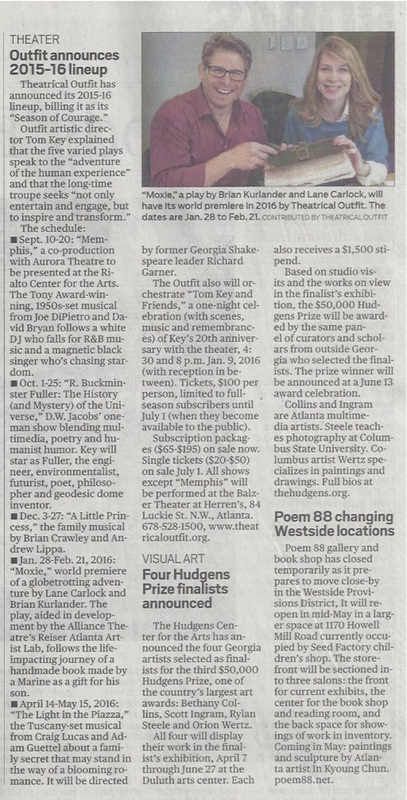 Theatrical Outfit's Artistic Associates and playwrights of next season's play Moxie, Brian Kurlander and Lane Carlock, wrote a hilariously brilliant script that will be brought to life during this wonderful event! Guests will grab a cocktail and take a tour of five scenes that will lead to the mystery of the "murder." The noir scenes will be followed by a gourmet dinner in the theater. 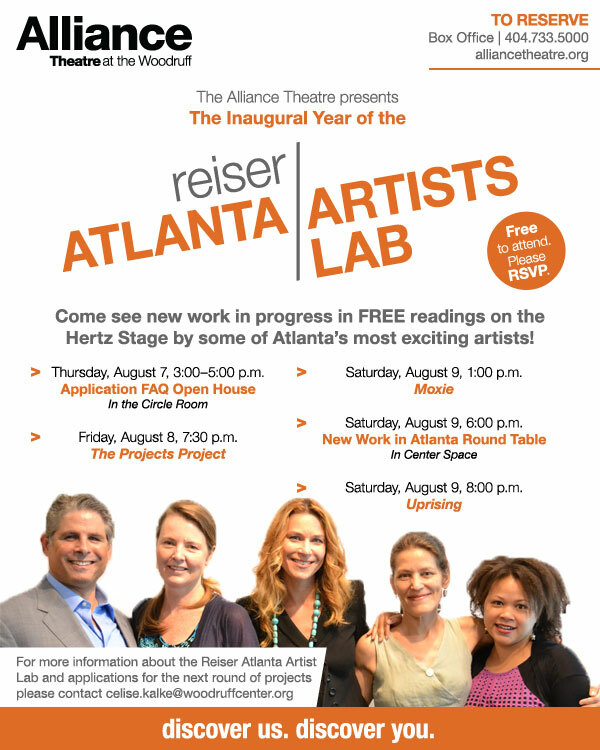 Alliance's Reiser Atlanta Artists Lab names three local projects to receive $10,000 grants.